This photo was discovered while cleaning space on the server hosting the SIHR website. It had been uploaded to associate to a player's profile, but something went wrong and it was orphaned without any hint as to who it was. 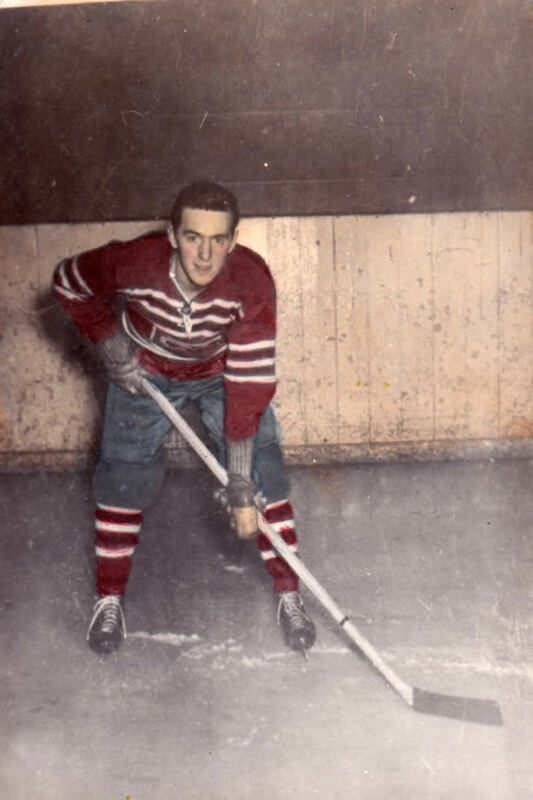 Thanks to Wayne Kewin for identifying the player as Bill Berwick with the Oshawa Generals around 1950.